FANBOY PLANET.com . : AntMan-at-DCA :. If you happen by Disney California Adventure in Anaheim this summer, you can catch a preview of Ant-Man in 4D in the theater they normally present "It's Tough To Be a Bug." 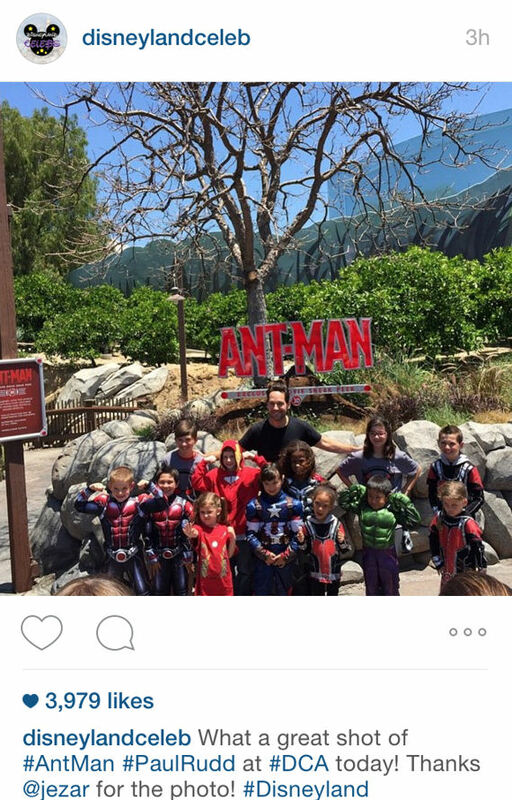 So apparently yesterday, Paul Rudd checked it out. I love that kids already have Ant-Man costumes. Thanks to @disneylandceleb on Instagram for this catch!